UX design has had yet another glorious year. 2017 has seen smart technology on the rise, with Augmented Reality, the Internet of Things and voice user interface design taking web and mobile users by storm. Here at Justinmind, we’re looking forward to how UX will evolve in 2018. And as we’ll very shortly be seeing in the new year, we’ve asked 10 UI/UX experts to share their predictions for 2018’s digital design landscape. There’s much to be said about the role that emerging tech like Artificial Intelligence and the Internet of Things will play in 2018. Integration is the name of the game, and any solution that combines both into user-friendly products is likely to dominate. 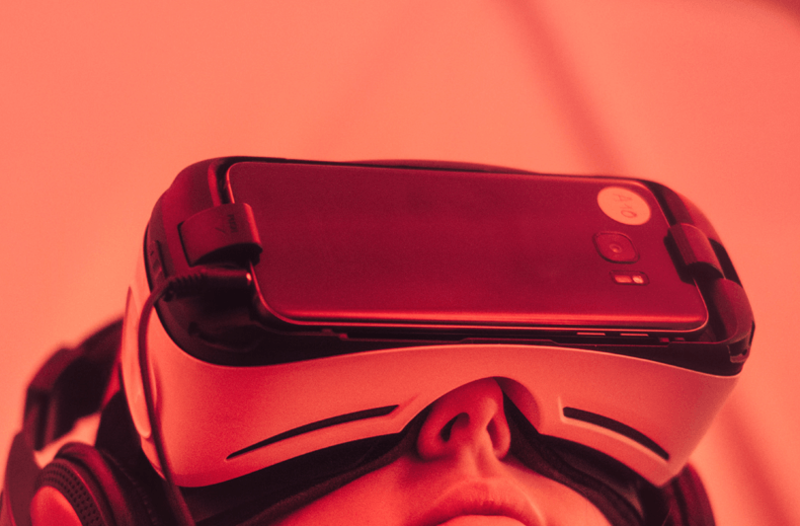 Looking at immersive technologies, I think mass adoption will come once we have mainstream Social Virtual Reality (VR) and Augmented Reality (AR) platforms – which is unlikely to happen as early as 2018 though. Social is the way forward, simply because experiences are better when they’re shared. Read about how AR has affected UX in 2017 here. Designing with Data – Almost everything we do now is instantaneously captured, logged, and made accessible somewhere in the ether. There is so much information out there but for the most part we’re not leveraging it successfully or creatively. Turning hard data into something that is compelling for users is a space ripe for designers, storytellers, and makers. Voice user interface design (VUI) – Alexa, Siri, and Cortana are game changers in the world of communication. We’re moving away from designing for screens more and more every day to focus on the invisible. Screens have become such a distraction and obsession so I look forward to a time where we’re not tied down by our phones, laptops, or TVs to do what we need to do. There is so much potential for UX designers to innovate with VUI and audio technologies. Read more on VUI technologies in our guest post with Arun George here. Mixed reality is perhaps closer than ever to achieving mass relevance and changing the mobile computing paradigm, and it will be very big in 2018. The mobile phone is just a temporary body that AR needs in order to expand until it can survive in a truly vision-first device. As soon as the app ecosystem is strong enough, there will be no stopping software from perfectly integrating with the real world. With that, we will have removed the last layer of abstraction that human-computer interaction needs, and shift the UX design industry from usability to immersion. VUI design – The recent advances in natural language processing technology and the increased capacity of computing power have made voice user interface design possible. I believe that VUI design will soon be a strong alternative to traditional graphical UIs, especially among mobile users. Voice user interface design has an opportunity to inject personality into user interaction and engage emotionally with people who use products. AR will be big – I say Augmented Reality UX will be the next big thing, not VR. Why? Because of Pokémon Go. No just kidding! AR is in fact more practical for people, as it delivers real value. We already use AR apps, such as Google Translate and AR Measure (this is an extremely useful tool if you want to measure something in your home and haven’t got a tape measure or ruler). An added bonus is that AR doesn’t require purchasing a separate device to use it, all you need is your mobile device. Biometric authentication – When we interact with online services, we often need to enter information from memory or follow lengthy procedures – actions that can reduce the user experience. A good alternative is biometric authentication, which can reduce a lot of unnecessary user actions, such as entering login credentials. This morning I looked into my Augmented Reality crystal ball, and interrogated it via voice commands to see what 2018 holds in store for UIs and UX. I was treated to a Virtual Reality and Artificial Intelligence-powered visual simulation of the year 2038. A TED historian gave a talk on how 2018 was the year that VR, AR, VUI and AI started to radically transform our lives. We used to think that VUIs and AI would become the main interface between humans and machines. But humans do not solely communicate via voice. A human to human communication involves a large degree of “non verbal” communication. In 2018, it’s finally time for the so-called, “Burger Menu”, to become shredded beef – never to be reconstituted. It’s the copycat nature of the business world we operate in that has led to the uprise of this behemoth. Let me share a little insight into a test I recently concluded with a FTSE 100 Fashion Retailer, based on a study which reached significance following a two-week period of testing. Against their existing style of horizontally-sliding navigation (“control”), the burger menu (“test”) resulted in a 0.5% (PP) reduction in C/R, along with a severe decline in the number of orders placed, AOV and total revenue. Interaction rates with the primary links in the burger menu were also down a whopping 68% vs the control. Over the course of 2017, it would have led to a triple-digit million pound (£) loss of revenue! Let this be a lesson to all you UX meat lovers. The burger menu is not the ‘Cash Cow’ it’s assumed to be. Make this the first thing you test in 2018 and explore other navigation options! Here are some great alternate UI pattern alternatives to the hamburger menu. Authentication – No more passwords. With the increased use of biometric authentication, we should see less traditional passwords and more use of verification codes, facial and voice recognition, and fingerprints. Personalization – While a lot of features will be automated thanks to AI, designing and creating individual experiences is now more critical than ever. What machines can’t replace is that genuine human connection. Read more about AI in web design here. Prototyping won’t just be a tool for designers, but for the entire product development life cycle. Developers will use prototyping interfaces to grab style code snippets and avoid misunderstandings with design. As prototyping tools are becoming collaboration tools, it’s easier for designers and developers to provide feedback, collaborate and create shared understanding. UX in 2018 will bridge the gap between designers and developers and encourage super-fast interactions. Read more about Justinmind’s developer-friendly UI here. Whenever I get asked what trends will dominate the coming year, I try to picture some new, revolutionary trend that will completely take us by surprise. For 2018, I would expect a continuation and an evolution of some of the UI trends that we have seen in 2017. I expect more personalization through the use of AI and machine learning that leads to personalized UX design. I also expect to see more humanization of sites and apps where interaction is dominated by a conversational UI. VUI in mobile apps will be more predominant but may also make an appearnce on desktop. And with advances in algorithms for face recognition being used for mobile (not just for unlocking but also for KYC purposes where a photo is matched against an official document such as an ID card), I think we are very likely to see more verification and authentication on desktop. Such authentication methods will remove the cognitive load from the user and make our desktop experiences more secure. The tech industry is going to get rocked by a wide-ranging UX design scandal that has been a long time coming. Bad design is rampant in software and hardware, but much of it has gone unrecognized because it follows patterns established by Apple. While Apple’s design woes date back to the Jobs era (e.g. “you’re holding it wrong”), they’ve gotten worse during Tim Cook’s tenure. Apple’s reputation will be stretched too far by continued abuse of its users and there will be an “Emperor Has No Clothes” moment. When that happens, expect fallout. A lot of ubiquitous design patterns will be exposed as bad design leading to soul-searching at big companies. The ones who will take the brunt are the $25/h graduates from certificate mills as companies realize that the glut of cheap designers came at a huge price. It will take longer before more entrenched (upper management) or abstract (read: “Agile”) causes of bad design receive the same amount of scrutiny, but it will happen. Please note that these the views and opinions expressed by the contributors to this post are theirs alone, and do not necessarily reflect the views and opinions of Justinmind. 2017 has been a pretty busy year for Justinmind. We’ve launched some fantastic new design and prototyping features, as well as UX/UI content on our blog. We’ve also taken part in a number of UX events with awesome UXperts, including Jaime Levy and the folks over at Atlassian. 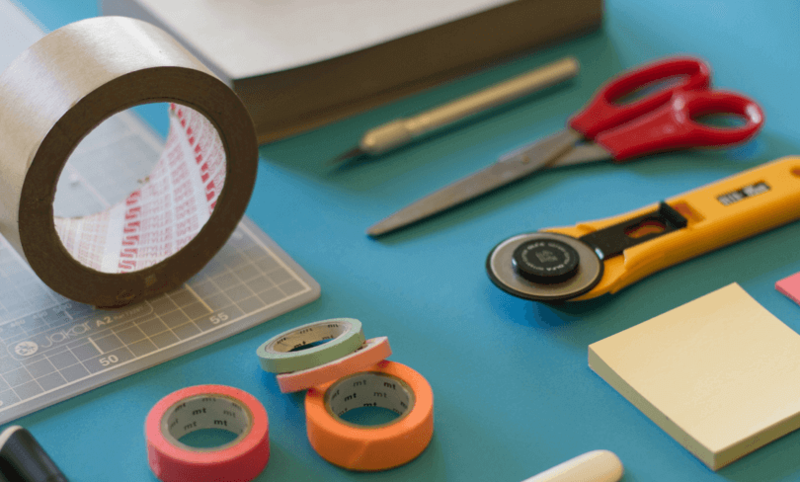 Stay tuned for another year of great UX with your favorite prototyping tool! Next articlePush Notifications – Nifty or Nuisance?